CMS web design company in Eastbourne offering CMS web site development and CMS systems. CMS web design company in Eastbourne: What is a CMS website? 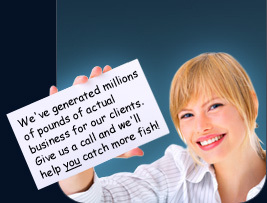 Designfish Studio is a specialist CMS web design company in Eastbourne, East Sussex. CMS stands for "Content Management System"
A CMS website will allow the user to 'manage the content' -or in other words, a CMS website will allow its user to update the text and photos, and perhaps the products on the website, via the CMS, without the user needing any specialist web design or development knowlege or experience. As a CMS web design company in Eastbourne offering CMS website development, CMS systems and development solutions, we can help with any CMS development or build requirements.